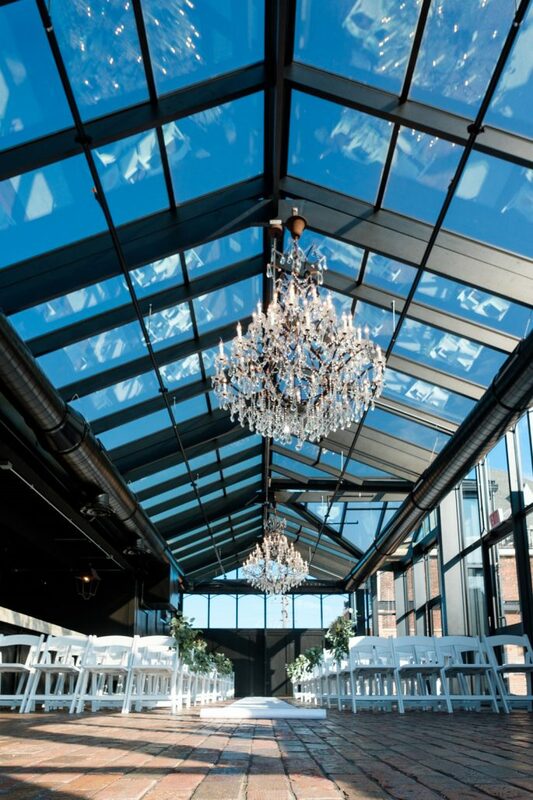 Our company is no stranger to large commercial projects, take a look at this rooftop conservatory event center we built. 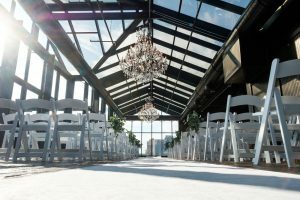 In the last 10 years adding on valuable square footage to a rooftop has been growing in popularity for entertaining, co-op growing or in this case – an event center / wedding venue in Rockford, IL. The team that was in charge of this building (The Standard) had goals for a destination wedding venue. The construction of this project was to coincide with the building renaissance taking place on the Rockford, IL riverfront. 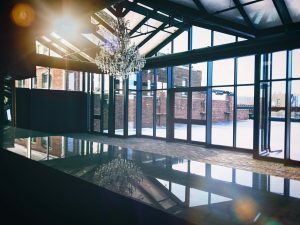 Conservatory Craftsmen was brought on for a the crowing jewel of the three story masterpiece – the rooftop conservatory. 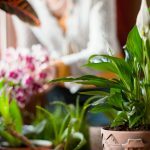 The owners were intent on building the finest rooftop conservatory in the Chicago area. They knew they wanted something that would draw a wedding party out of the Windy city into a nearby venue with more to offer. Their dream was to have a rooftop event center that a couple would dream of being married in, and that also gave them the assurance that no matter what the weather was, the wedding could be ‘outdoors’. Given the plan by the owners and architects, we called up aluminum extrusions out of Belgium to be the basis of this structure. Able to withstand the 130 mph winds and massive snow loads that torture a structure in this exposure. The roof top of this 100 year old building was the biggest challenge. There were walls here and there that had to be used to create connections. Decks weren’t level, and the winter installation on a rooftop was indeed a chilling experience our crews will never forget. All material was set on the roof by crane to start the project. Our crews worked long days and weekends to set the portal, sub frame, that would be the support basis for the entire structure. Unique glazing window frames allowed the glass to be set from the inside out, avoiding the problems of setting glass with a crane. Christmas lights from the City below helped maintain a cheery working environment for the crew of 5, even in the cold weather. In all, 6.5 tons of tempered and laminated glass graced this stout roof. A layer of dark tint was added to the outer pane to cut down sun glare, but still allow massive amounts of light. A good balance between heat and light was the goal. The project was complete in less than a month. Interior finishes were applied by the local contractor and the first event was held a week after the last piece of glass was set. We definitely considered that a job well done! And it’s a rooftop conservatory we’re proud to put our name on. 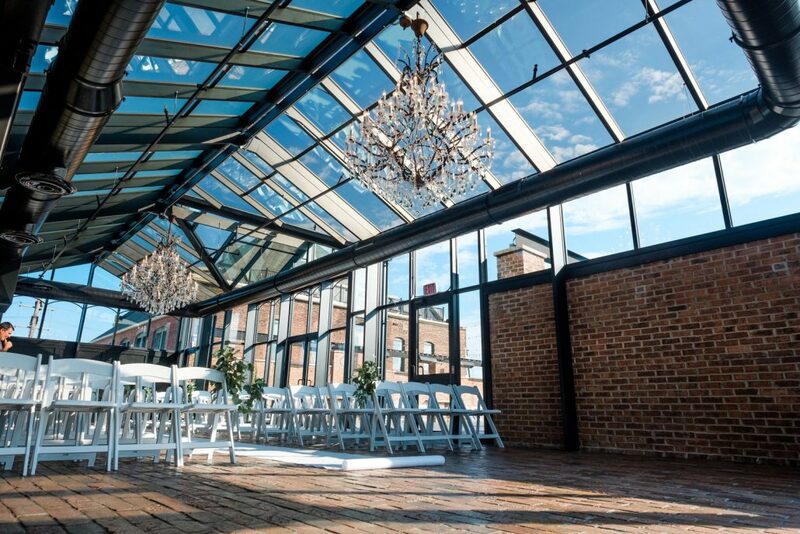 We’ve seen numerous weddings and events at The Standard on the internet since the completion of the project and it appears that the goal was achieved by both the owners, and our conservatory crew. With the addition of micro breweries and popular restaurants, downtown Rockford is paving the way to make it a fun and successful destination for any event. 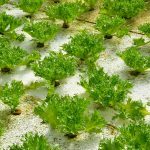 Maybe you have a rooftop on your commercial property that could be transformed into a remarkable and useful area, that could be used year-round and in any weather? Then give us a call at 888-345-7915 and we can discuss it, or you can contact us online too.